This kit is perfectly sized for cleaning and care of small fur items such as collars, scarves, stoles, hats, gloves, purses, etc. Give your fur the love it deserves! I bought a second hand rabbit fur hat that smell like an old hope chest. The kit helped freshen up the hat and softened the pelt. 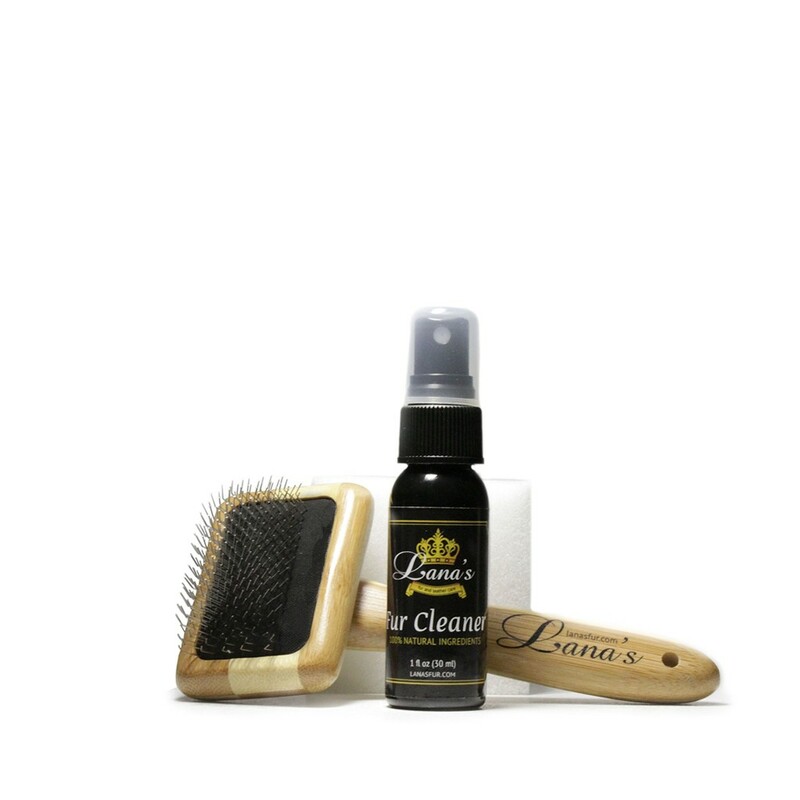 Lana’s Mini Fur Cleaning Kit is an ideal combination of natural cleaning solution and accessories for quick and easy at home maintenance of small fur items. It works well with both real and faux fur. 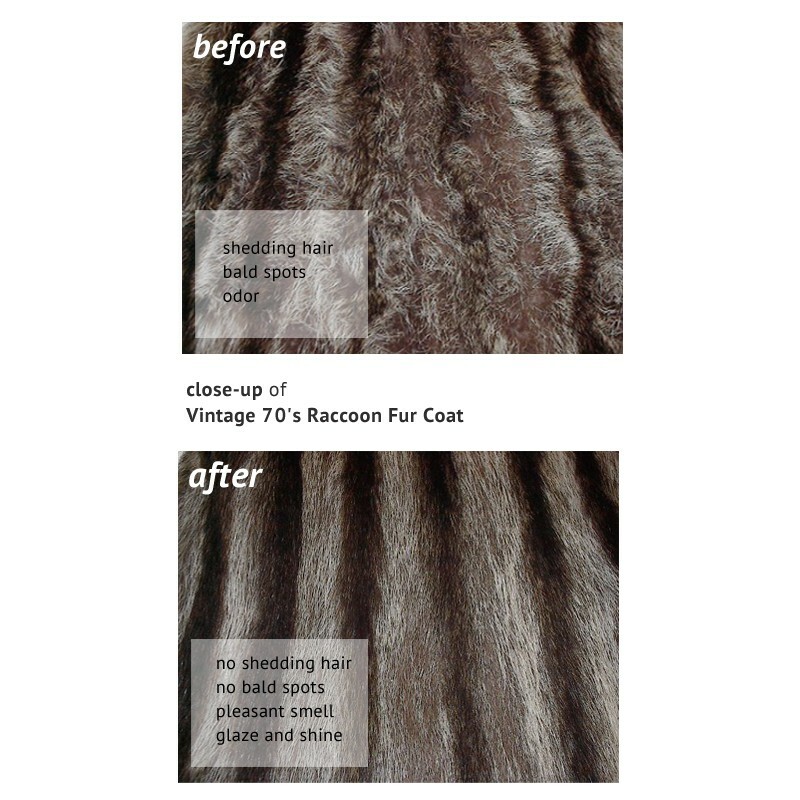 3-in-1: Clean-Glaze-Eliminate Odor on your valuable fur products. Make a Green choice with our eco-friendly solution. Save money on professional cleaning. It’s easy to use and great gift idea! The cleaning process should involve Lana’s: Solution, Fur Brush, and a Fur Pad. qI was expecting something that would be available to a professional furrier - but your solution didn't work on my items. We're very sorry about the negative experience you had with our fur maintenance products. 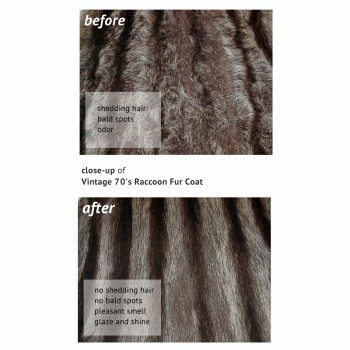 We understand that you expected our solutions to be the ones that pro furriers use to clean their customer's coats. 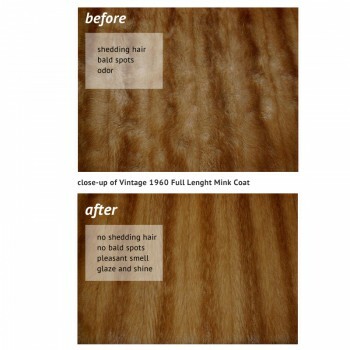 Let us assure you that, most of the time, they use similar formulas to clean and maintain their fur items. Of course, there are also so called 'commercial grade' chemical solutions out there that are stronger than the natural solutions, but we wouldn't recommend them to anyone and almost never use them ourselves because they may damage your fur when applied improperly, erode natural oils out of the fur, and leave unpleasant chemical smell. To be honest, we rarely get complaints about quality of our products. We have many happy customers who regularly use our products for several years and come back to get more again and again. 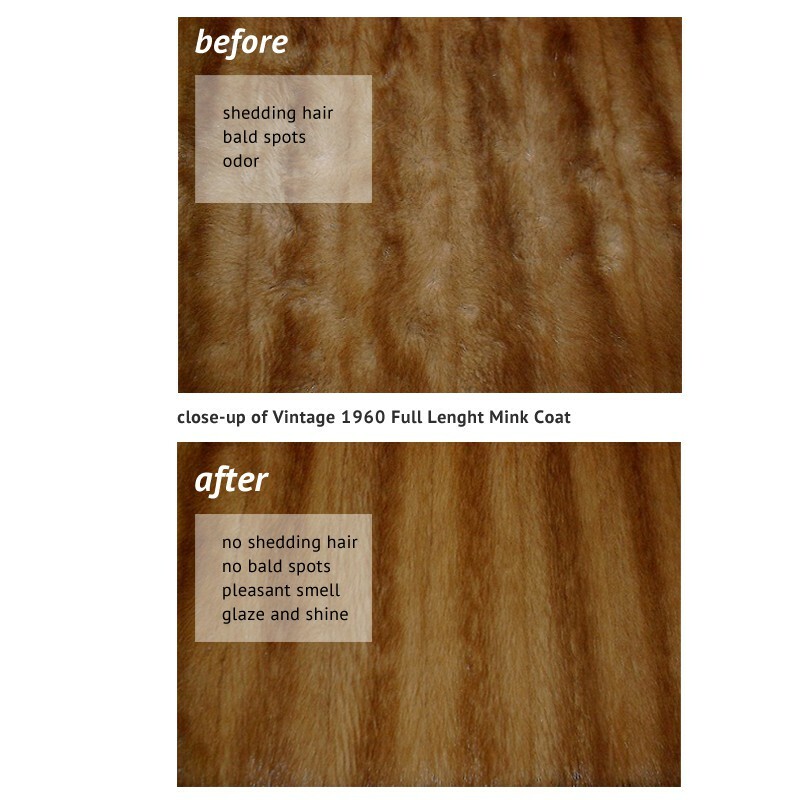 Because we use our solutions ourselves for many years (we have a fur shop), we know it as a fact that they work better than any home remedy since they consist of a combination of multiple ingredients that not only clean but also deodorize, glaze and improve elasticity of the fur strands. Due to its main purpose of being a solution for regular maintenance and seasonal cleaning, in some cases when cleaning and restoring heavily worn, greasy or neglected furs, it must be used in combination with our Deep Cleaning Kit and Dry Therapy Solution to get better results. 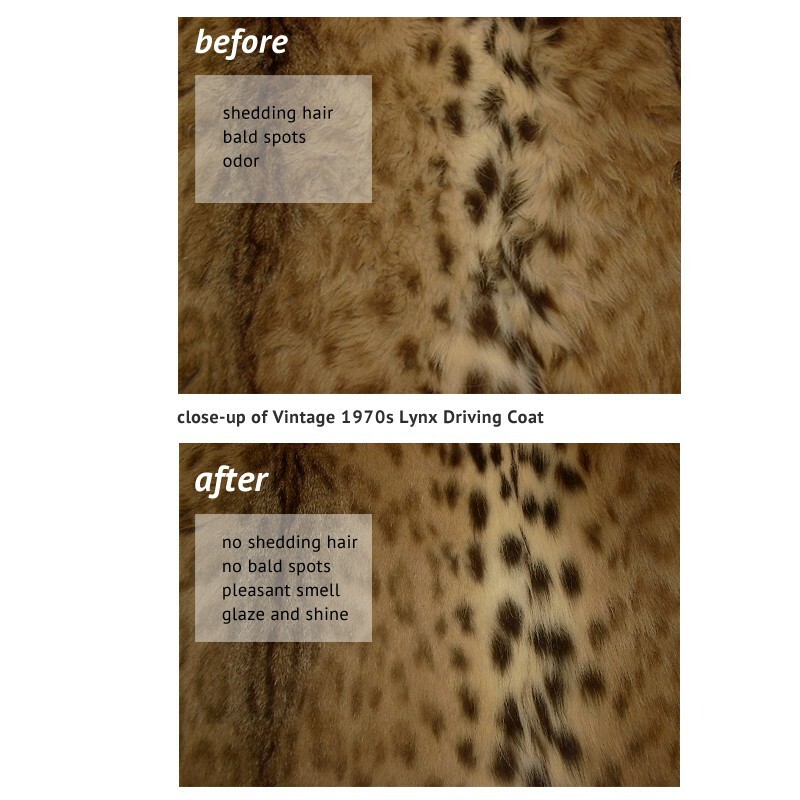 For very dirty and greasy items we recommend using our Deep Cleaning Kit first to get dirt and grease buildups out of the fur and then proceed to a normal cleaning cycle using our regular cleaning solution. For tough dirt spots our advice is to apply cleaning solution and use fur cleansing pad several times until wiping the dirt off completely. Unfortunately, there is no effortless magic-bullet cure for very dirty furs.